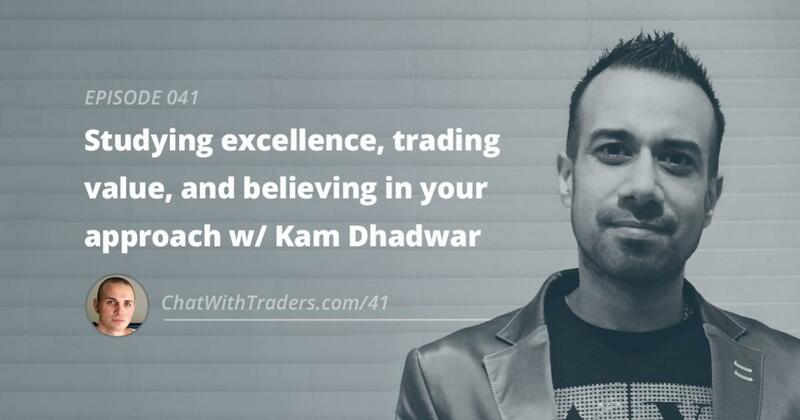 ... with Kam Dhadwar, a Professional Proprietary Trader based in London UK and also the owner of "The Trading Framework®". Over the years he has grown to become a respected Discretionary Trader and Peak Performance Coach who shares his knowledge and experience with like-minded traders. Kam teaches how to understand the markets Auction Process and the Market Participants’ Behaviours using tools like Market Profile, Stage Analysis and Order Flow. As a Certified Master NLP (Neuro Linguistic Practitioner) with personal Trading Experience, Kam is well known for his ability to understand the obstacles that traders may face along the journey and offers practical processes and techniques to help overcome the typical issues that most traders struggle with. "After we started using proven strategies for better trading, rather than designing from scratch, we got better results consistently with less headaches. Thanks Kam!"